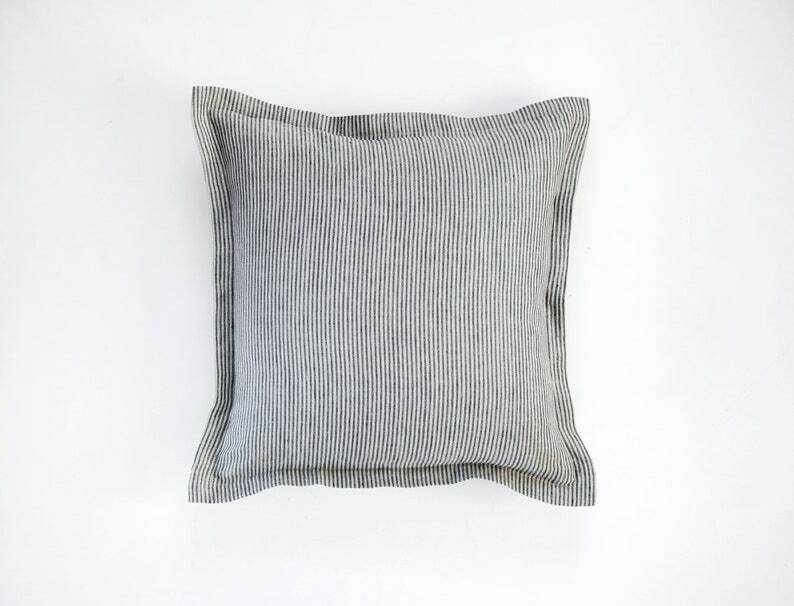 Striped Linen throw pillow cover. Suitable for decorative pillows inserts. May be sewn in custom size. Very solid for home decor details. 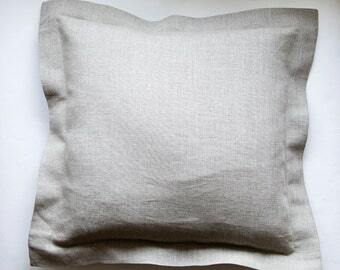 Interior designers choose this natural linen cushion as background for other color pillows on sofas. 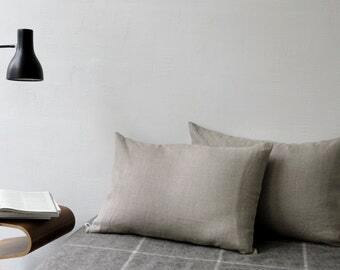 Ideal for modern home decor as well as for classic. 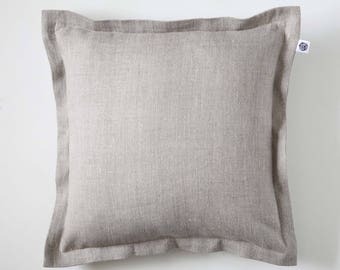 May be used as linen comforter. Suitable for coastal bedding. 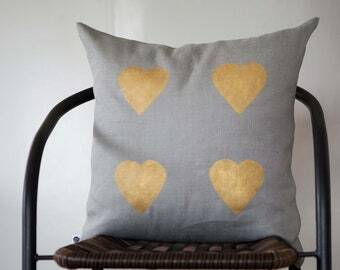 This one from trendy pillows collection. The same fabric is used on both sides of the decorative pillow cover. Machine washable at cotton cycle at 40-60 degrees by Celsius. Tumble at low settings and air dry after. Iron on high settings. 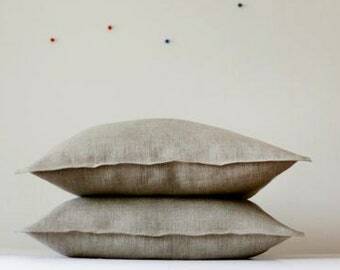 Linen is an ecological waste less fabric, having no harmful impact on nature. 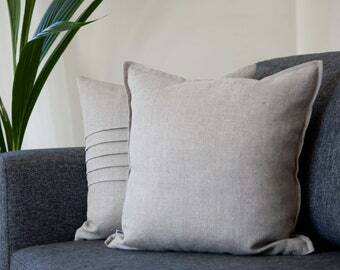 Pillows decorative may be recycled after use, they are biodegradable. 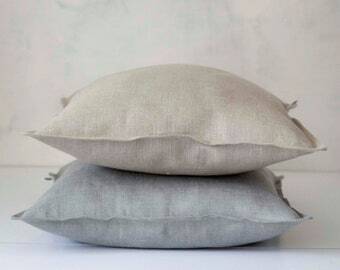 Natural Linen Pillow Cover With Zipper - Linen Pillowcases - Linen Pillow Shams for bedding. Many colors to choose from. 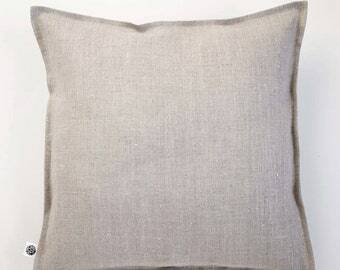 Linen throw pillow, linen euro shams, pillow with border, linen pillow cover with flange. 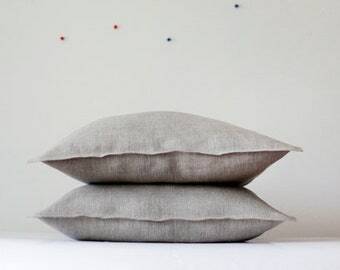 Oxford style linen cushion. 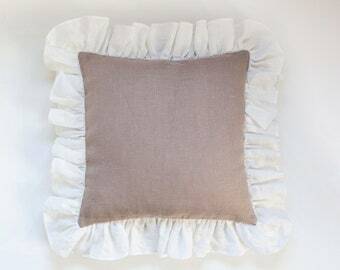 Natural linen decorative pillow covers set of 2, custom size options available.